GRM Food Guru Roy Choi at his newest restaurant in Best Friend. A few weeks ago I was at CES, the world’s biggest tech show-off for the newest and flashiest products in the world. Underneath all of the self driving cars, ping pong playing robots, and the iHeart Radio party, the pomp and circumstance doesn’t usually live up to the hype. Day in and day out working the floor, engaging in meetings, and playing the fine line between sales person and listening to free advice is time consuming. At the end of the day, it’s just work. You need a place to wind down. You need to have a good hang with a friend. That’s hard to find in Sin City, when it’s mostly filled with lavish bars, restaurants, and strip clubs. 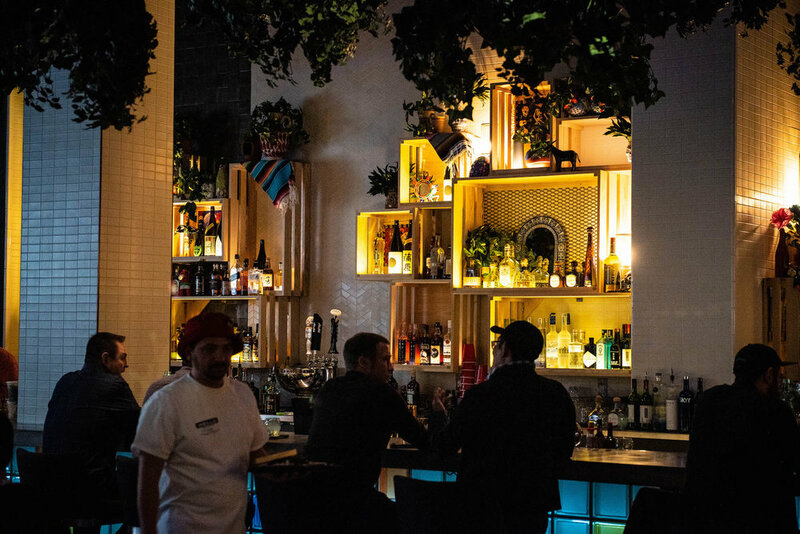 But Las Vegas finally has a chill spot where you can get good food, good drinks, and have great conversations, all thanks to Roy Choi. Chef and LA OG Roy Choi has restaurants all over the City of Angels (a few of which we have covered, Locol and Kogi Taqueria). However, as anyone naturally does with great success, Roy is expanding his reach to other parts of the U.S. His first stop is Las Vegas at the Park MGM. Inside you will find a newly revamped design akin to a confusion of 17th century French design and Anthropologie. When you walk in through the front door, you are greeted with mini food stalls, like a night market in Asia. Food is obviously the focus of this hotel. The Best Friend food stall in the lobby of the Park MGM. Walking through the dizzying maze of slot machines and alcohol powered patrons you find a big yellow sign that reminds you of an LA laundromat. 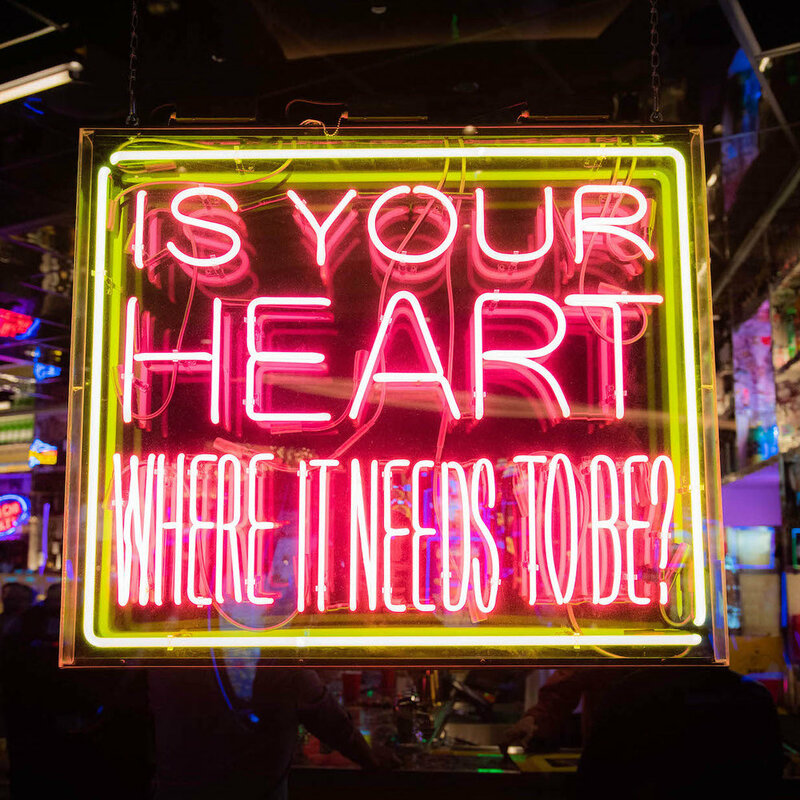 Neon signs are hung on either side, building the atmosphere that you’re in downtown LA. The entrance. Neon signs galore. 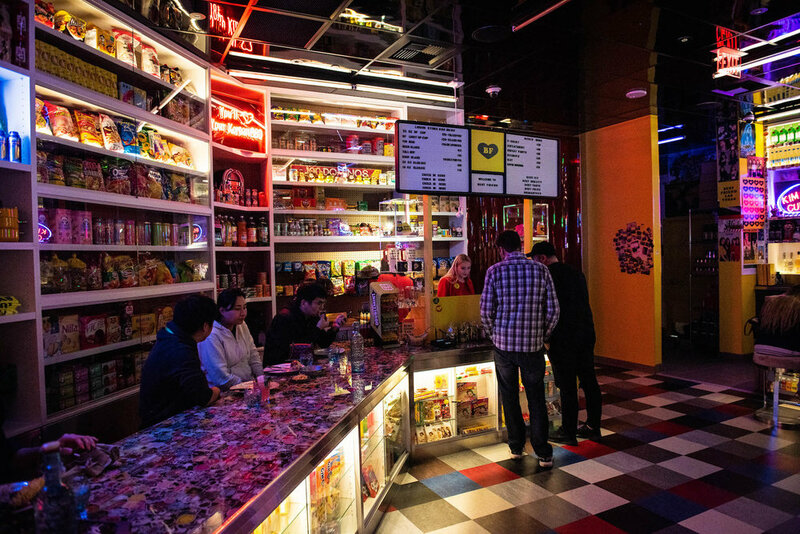 Inside you find a blend of taqueria, bar, skateboard shop, and H-Mart. Asian snacks are everywhere like old sports gear hanging on the wall at a TGIF. You can buy merch and order drinks/food at the bar if you’re not the lucky few that got a reservation to dine inside. The checkout counter of the bar/market. Passing red rubber flaps like the ones you see at a meat warehouse you enter a modern version of Guelaguetza (a classic Mexican spot in LA that’s a big family affair). 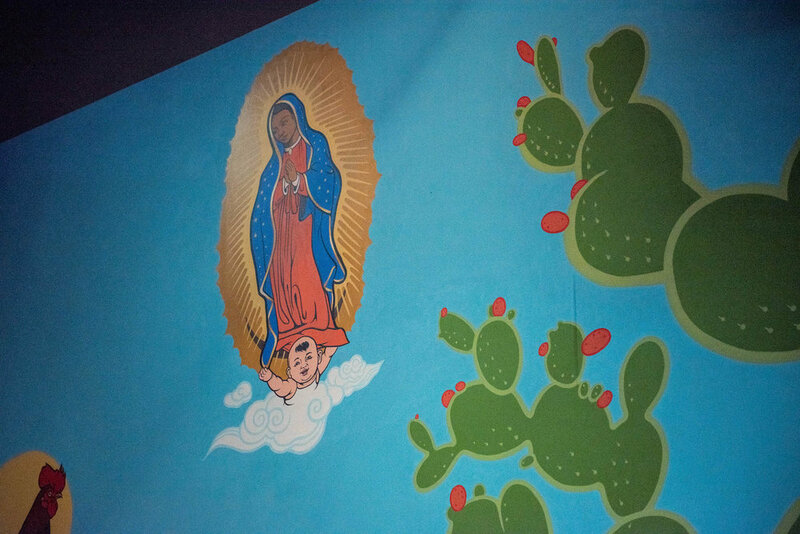 There’s a DJ stage, a Mexican mural with faces of all the people that have been a part of Kogi (Roy’s first taco truck), and pictures of LA. Inside Best Friend’s main dining area. Photos of LA are displayed on the walls. 80’s and 90’s vibes are everywhere. Waiters wear track suits and the menus are designed like a hip hop tape deck. However, the food is a different offering. Going off of the Korean-Mexican flavors that Roy is so well known for, we see a different more evolved menu from those of Chego and A-Frame (Roy’s other standbys). Uni Dynamite Rice, Brioche Hawaiian Sweet Rolls, Date Cake, and more speak Asian American heritage, nostalgia, and childhood. Our waiter, “G”, in 80s track suit attire. Strawberry Cheesecake in a Pear. Las Vegas has always been known as a place full of glamour, money, and tourist traps. Everywhere you walk, you are showered with fads and over the top restaurants. Best Friend offers a more relaxed atmosphere and truly feels like a hangout spot, a stark contrast to the rest of The Strip. 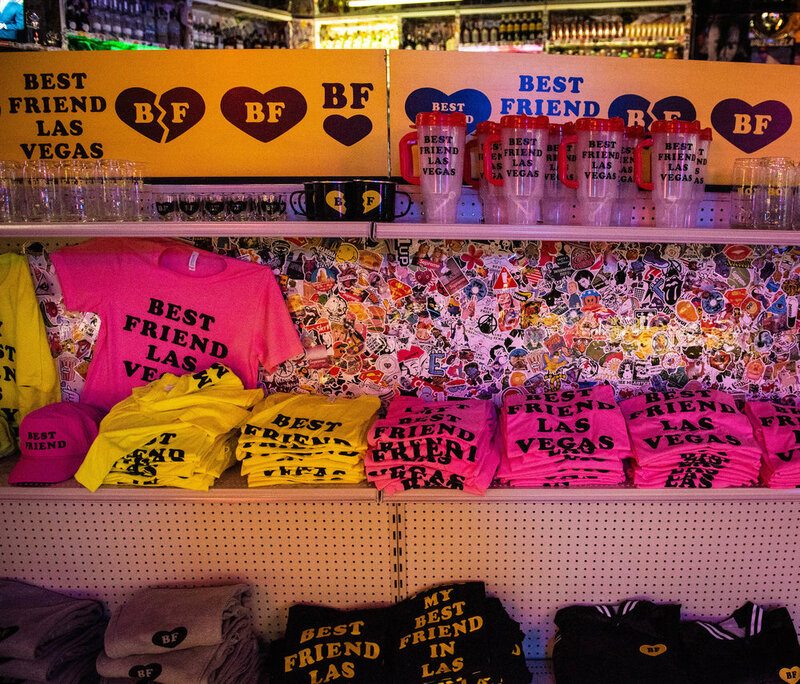 For frequent Vegas goers, Best Friend may be your new regular. We asked Roy what he thinks about Las Vegas. “Giant Robot needs a themed casino resort in Las Vegas. Can you imagine? !” That would be wild. Best Friend is located at the Park MGM, 3770 S Las Vegas Blvd, Las Vegas, NV 89109. You can contact them at (702) 730-7777. You can also check out their website here for resos.